Guernsey Raiders head coach Jordan Reynolds says their 22-21 win at Wimbledon shows how the character of his side has improved. 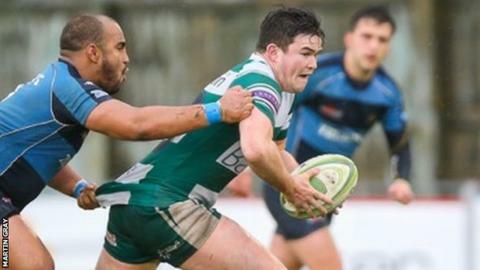 Owen Thomas converted a late penalty try to seal victory and consolidate seventh spot in National Three London. "A year ago we would have lost a game like that." Reynolds said. "To pick up an away win is always tough, but to do it in the fashion we did against a quality side like Wimbledon was good for us." Guernsey have now won four of their last five matches despite some of their key players still missing through injury. "Other teams, when they have got three or four injuries it doesn't change a great deal, but when we have one or two injuries it really does halt us a lot," Reynolds told BBC Radio Guernsey. "We're at that stage at the moment where we do have a fair few injuries. Last year we wouldn't have won those games, but this year we have."